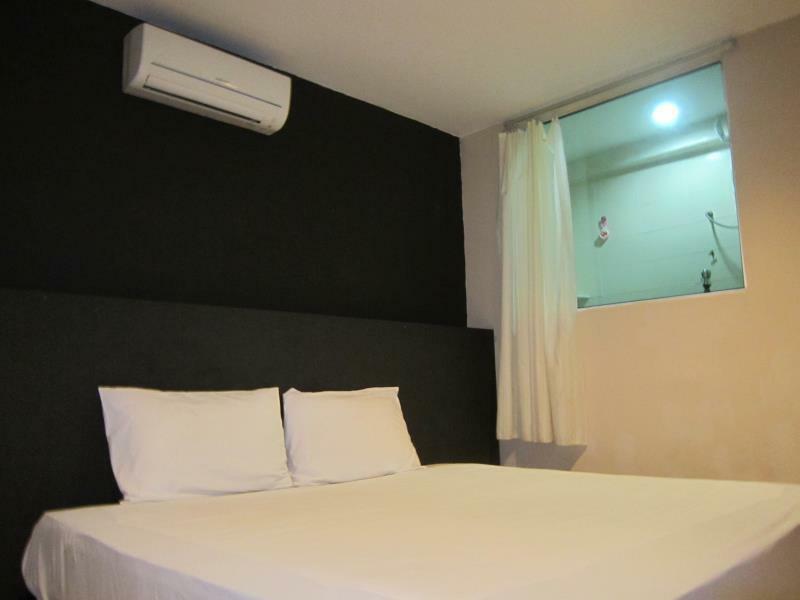 Ada pertanyaan untuk Amazon Hotel Kepong? Terletak di Kepong, Amazon Hotel Kepong merupakan tempat yang sempurna untuk menikmati Kuala Lumpur dan sekitarnya. Dari sini, para tamu dapat menikmati akses mudah ke semua hal yang dimiliki oleh kota yang aktif ini. Properti ini terletak di sekitar obyek wisata populer di kota ini, contohnya KL Tzu-Chi Jing Si Hall, Jinjang, Parkcity Medical Centre. Amazon Hotel Kepong menawarkan pelayanan sempurna dan segala fasilitas penting untuk memanjakan para wisatawan. Para tamu dapat menikmati fasilitas di tempat seperti WiFi gratis di semua kamar, layanan pos, Wi-fi di tempat umum, tempat parkir mobil, restoran. Masukilah salah satu dari 24 kamar yang menggoda di sini dan lepaskan rasa penat Anda dengan sejumlah fasilitas yang tersedia seperti televisi layar datar, akses internet - WiFi, akses internet WiFi (gratis), AC, meja tulis. Properti memiliki berbagai pilihan fasilitas rekreasi yang memungkinkan Anda melakukan bermacam hal selama menginap. Amazon Hotel Kepong merupakan sebuah destinasi serbaguna sebagai akomodasi berkualitas untuk Anda di Kuala Lumpur. Photo and reality is totally different... don't trust on photo !! close to variety kind of foods shops around, not crowded place, convenient. quite okay and value for money. Budget hotel with very valuable charges but room was not that clean and noisy environment. The hotel is comfortable for overnight staying. Not recommended for people that would like to stay longer than one night. The design made it really compact and feel a bit old and dirty. Not suitable for family or business trip. Surrounding is not healthy, as a lot of massage parlour is next to it. the hotel's location is fine. when i checked into the hotel, they mention that my voucher was invalid. later, they accepted it after some explanation and we were given a key to our room. the room was average but the smell of the room was pretty bad. it was cigarette smell where as the sign stated it was a non-smoking room. i requested to change room with a top up but the rooms were fully booked. so the receptionist passed a fragrant spray for me. the bathroom is typically small and the partition in the room was in a bad condition. the air-conditioner looks new and it was pretty comfortable. however, it was dripping water. we weren't passed with our hotels when we arrive. i had to make a request only i could get my towels. overall, my stay in this hotel was only average. For the price paid, this is a good budget stay for short trip. Very clean room. I just a clean quiet good rest room. It is just too noisy and complicated. It was an unpleasant stay to me and my husband. The mirror in the room is broken and there were foot prints on the bedsheet. It could be noisy if people talk at the reception or if the TV is too loud.